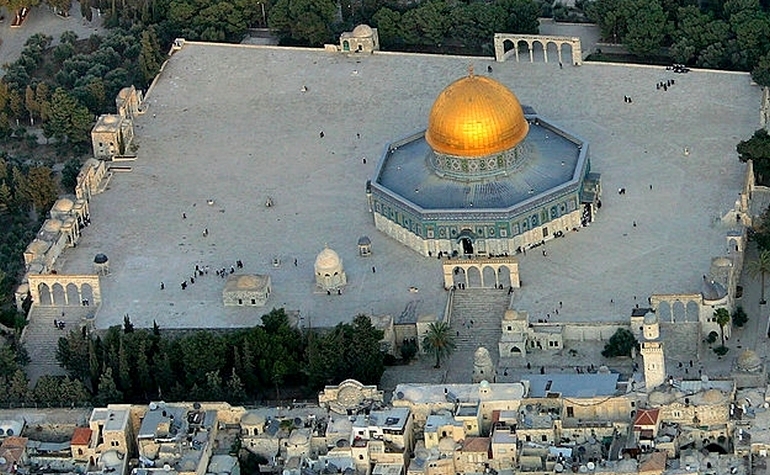 the Temple Mount in the Israeli Eternal City of Jerusalem. Question: Was Jesus really the Son of God and Messiah, or just another good and wise prophet like Mohammed? Daniel 12:11 "From the time that the regular sacrifice is abolished and the abomination of desolation is set up, there will be 1,290 days." So how was the abomination of desolation (Dome of the Rock) set up 1,290 days after the sacrifice was abolished by Nebuchadnezzar in the year 583 BC, considering construction of the Dome of the Rock began in 688 AD? I'll let Joseph Cortes of TeachingFaith Ministries teach you how it does in his two part videos below. DISCLAIMER: The two videos below do not promote today's "Christian Science Fiction" doctrine taught and believed by the modern Christian church. Most likely, for the first time in your life, you will be presented with authentic, rightly divided Biblical doctrine. For those who thirst for understanding the Bible, you can see 1000's of hours more, on many subjects, by visiting www.TeachingFaith.com The videos below are found in the "Teaching Center". Look for "Video Sermons" then choose "The Last Days" series. The videos are posted in the chronological order they were taught. So start with number one to begin your journey through the Book of Revelation. Hint: 99% of the prophesies in The Book Revelation have already happened. It's true! When you're finished here visit www.666id.com to discover the identification of the 666 "Mark of the Beast"
When you're finished there visit www.HarlotWoman.com to discover Who and Where is the The Great Whore of Babylon! (South wall) In the name of God, the Merciful the Compassionate. There is no god but God. He is One. He has no associate. Unto Him belongeth sovereignty and unto Him belongeth praise. He quickeneth and He giveth death; and He has Power over all things. Muhammad is the servant of God and His Messenger. (East wall) nor utter aught concerning God save the truth. The Messiah, Jesus son of Mary, was only a Messenger of God, and His Word which He conveyed unto Mary, and a spirit from Him. So believe in God and His messengers, and say not 'Three' - Cease! (Northwest wall) son of Mary. Peace be on him the day he was born, and the day he dies, and the day he shall be raised alive! Such was Jesus, son of Mary, (this is) a statement of the truth concerning which they doubt. It befitteth not (the Majesty of) God that He should take unto Himself a son. Glory be to Him! (West wall) When He decreeth a thing, He saith unto it only: Be! and it is. Lo! God is my Lord and your Lord. So serve Him. That is the right path. God (Himself) is witness that there is no God save Him. (Southwest wall) And the angels and the men of learning (too are witness). Maintaining His creation in justice, there is no God save Him, the Almighty, the Wise. Lo! religion with God (is) Islam. Those who (formerly) received the Book differed only after knowledge came unto them, through transgression among themselves. Whoso disbelieveth the revelations of God (will find that) lo! God is swift at reckoning! 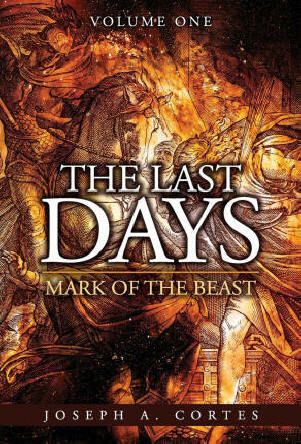 Introduction The Last Days series is an in-depth eschatological teaching series utilizing the Old Testament, New Testament, secular history, plus many other resources for the purposes of restoring this fascinating subject matter to clarity while providing its reader with a sense of understanding from a scripturally verifiable point of view. Unless otherwise noted, all scriptural references will be in the King James version.